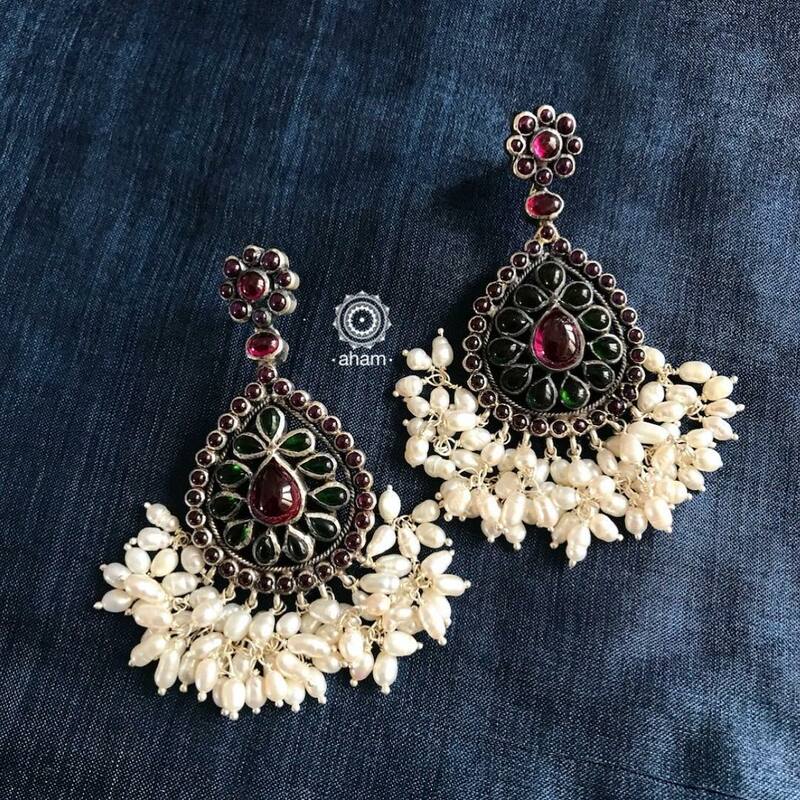 Oxidized jewellery is the most preferred type of jewellery of this year as they are affordable and available in contemporary as well as traditional designs. You can shop either gold plated or the plain silver version of this jewellery as they are the most coveted piece of accessory this season. Oxidised silver jewellery has a beautiful appeal and the speciality of it is that it enhances the beauty of the wearer without empowering. Likewise, Gold plated oxidised jewellery is a very best alternative to the expensive gold and diamond jewellery. 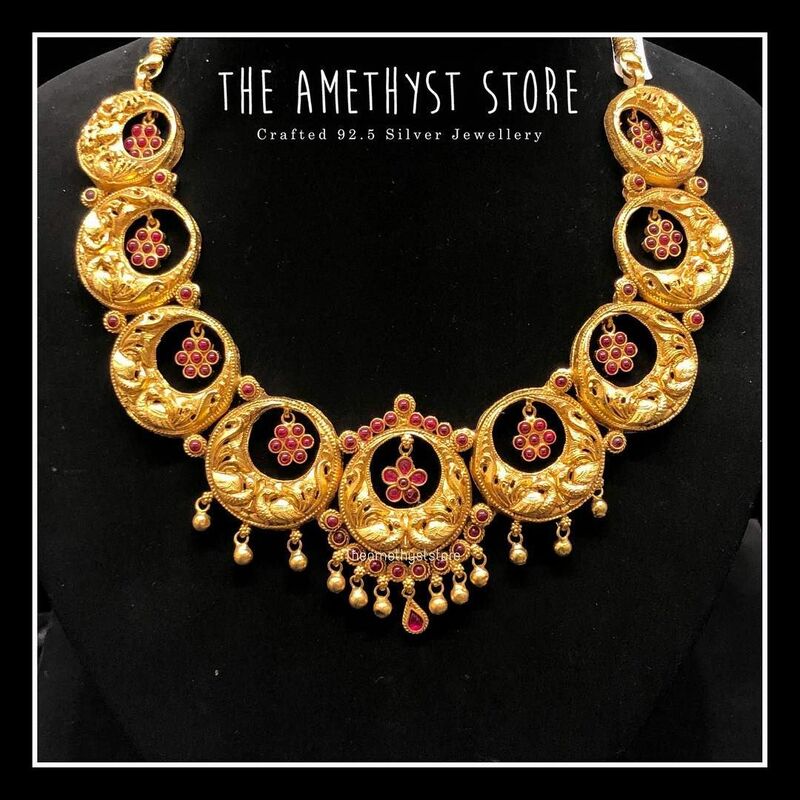 So ready to take a look at the top brands to buy mind blowing oxidised gold plated jewellery and oxidised silver jewellery at budget prices. Bcos its silver is a brand that has a variety of gold plated silver jewellery. The collection includes gold plated silver jewellery such as earrings, bangles, neck pieces etc. in excellent craftsmanship. Yes we love huge pendants that can be worn with any kind of a chain whether it is a simple gold chain or precious beads chain. 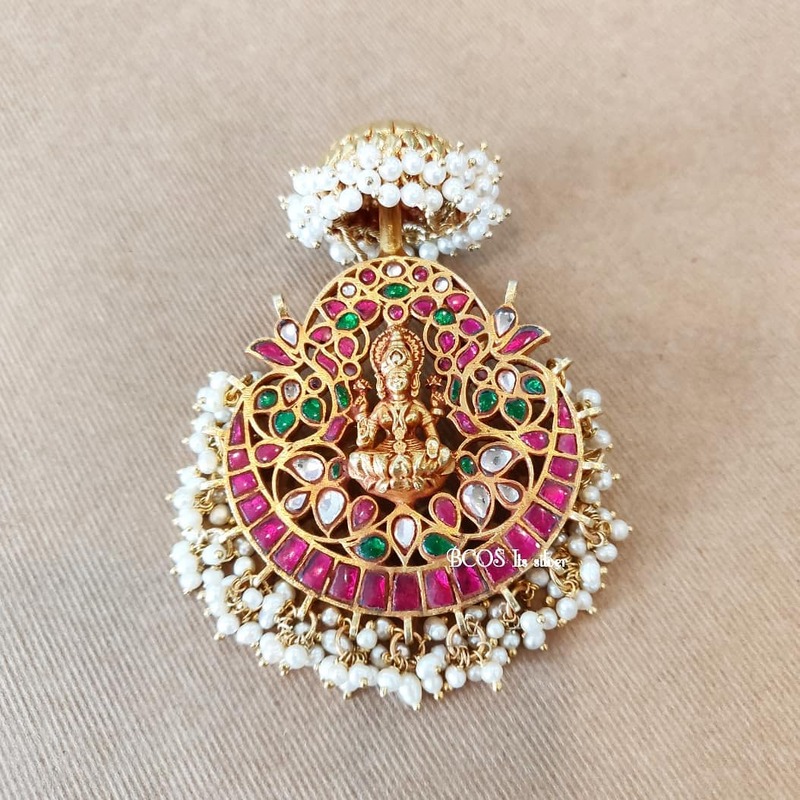 The exquisite collection of gold pendants from the brand are nothing less than gold pendants in craftsmanship, design or look and they are affordable. It goes the same way for all the jewellery pieces from the brand. 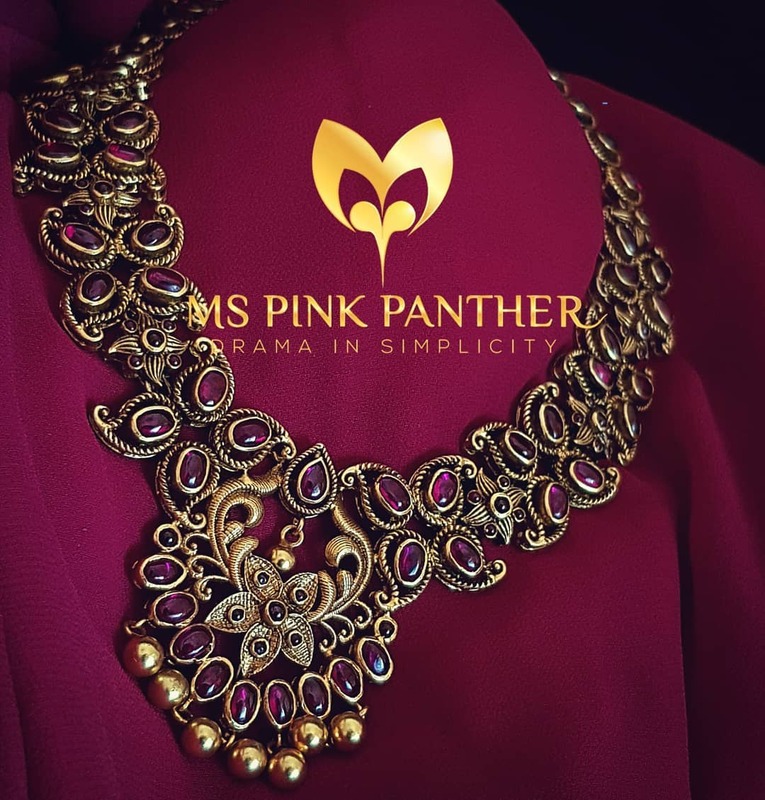 The gold plated silver jewellery is affordable when compared to gold jewellery and the excellent craftsmanship with a wide range of collection available from the brand MS pink panther makes them even more lovable. 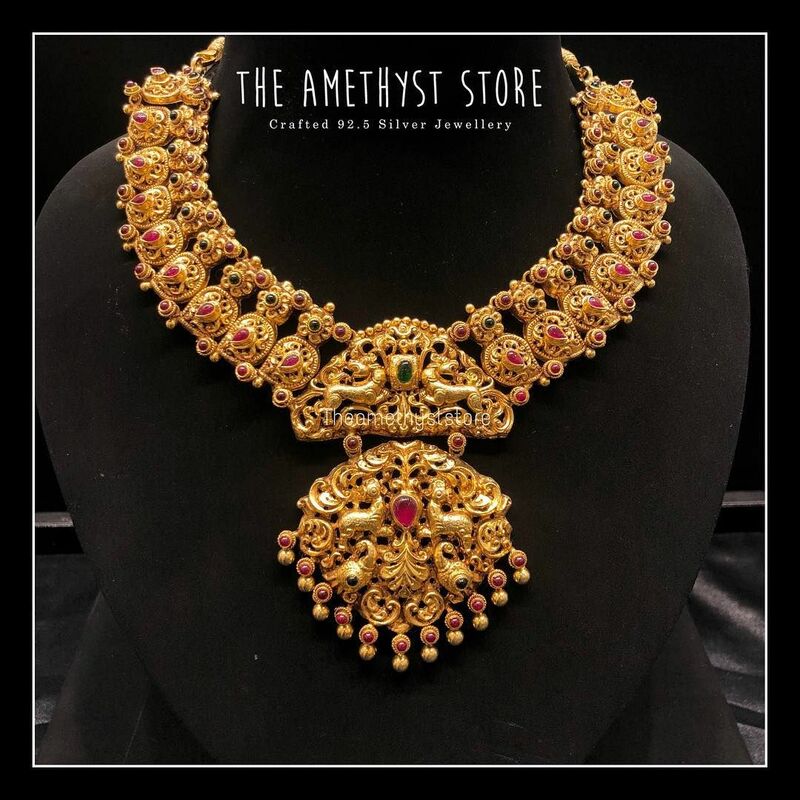 This brand’s mind blowing collection of gold plated silver jewellery ranges from stone studded gold plated silver waist belt to hair accessories. 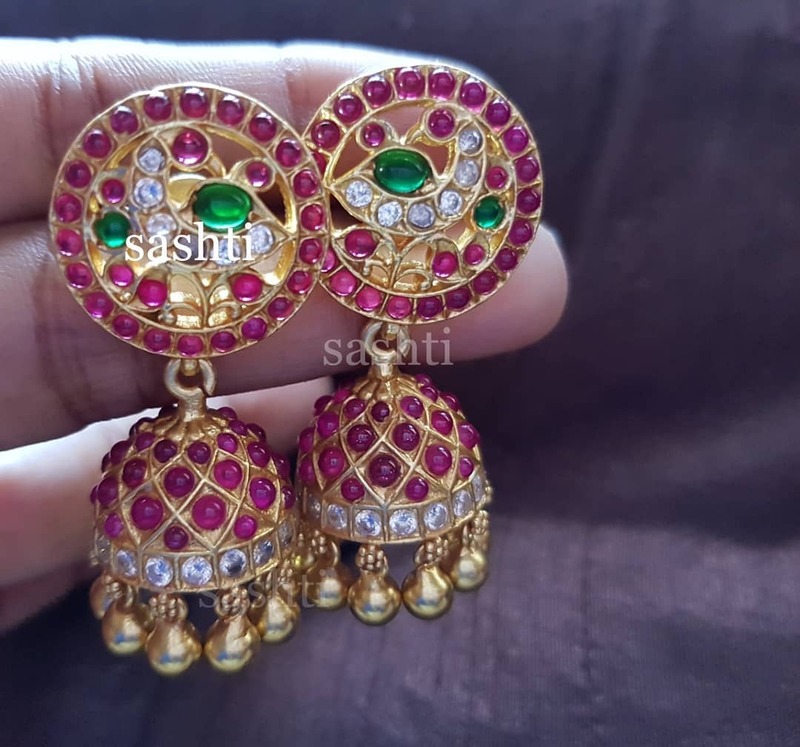 If you are searching for the gold plated silver jewellery collection studded with semi precious stones such as emeralds, polki stones, rubies etc. then MS pink panther are the right place for you. 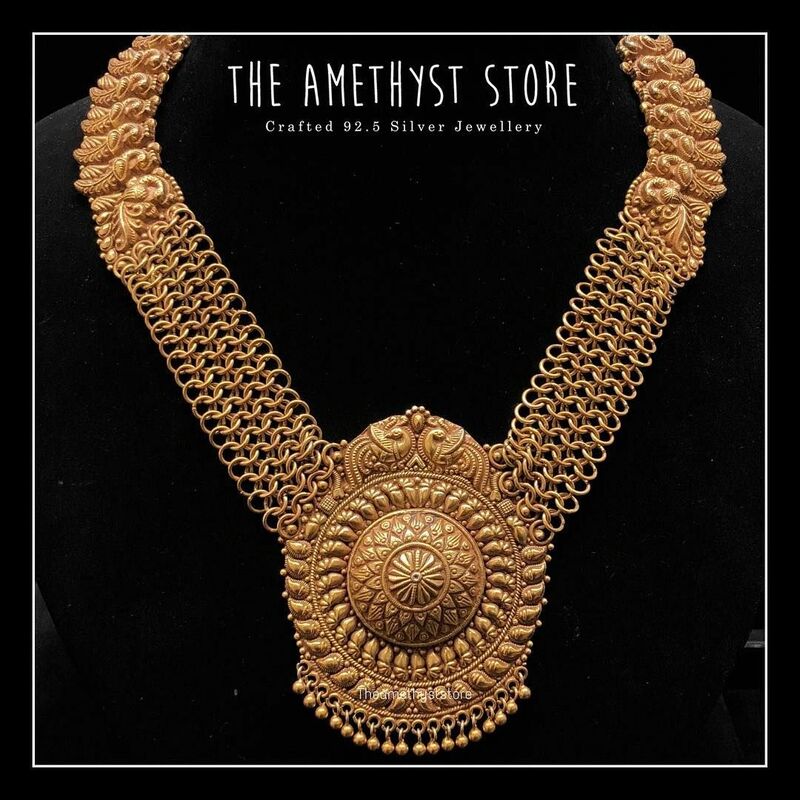 Silver sashti is another brand where you can find an enormous collection of oxidised gold plated silver jewelry. 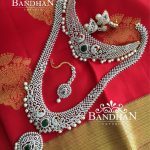 The specialty of this brand is the bridal jewellery which is unique. 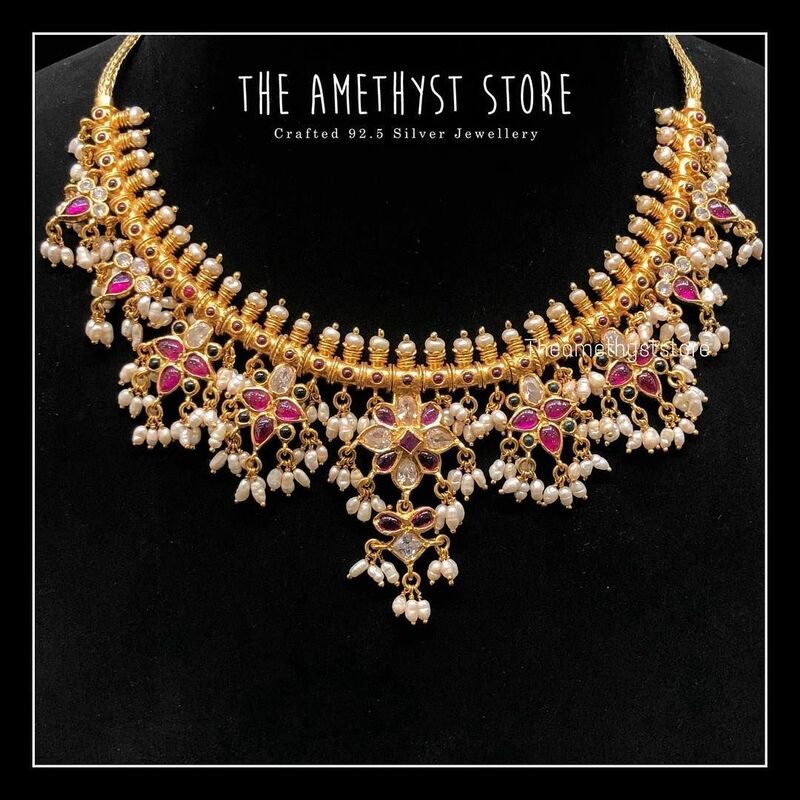 Most of the necklaces come with matching earrings and the antique finish jewellery pieces are not to be missed. 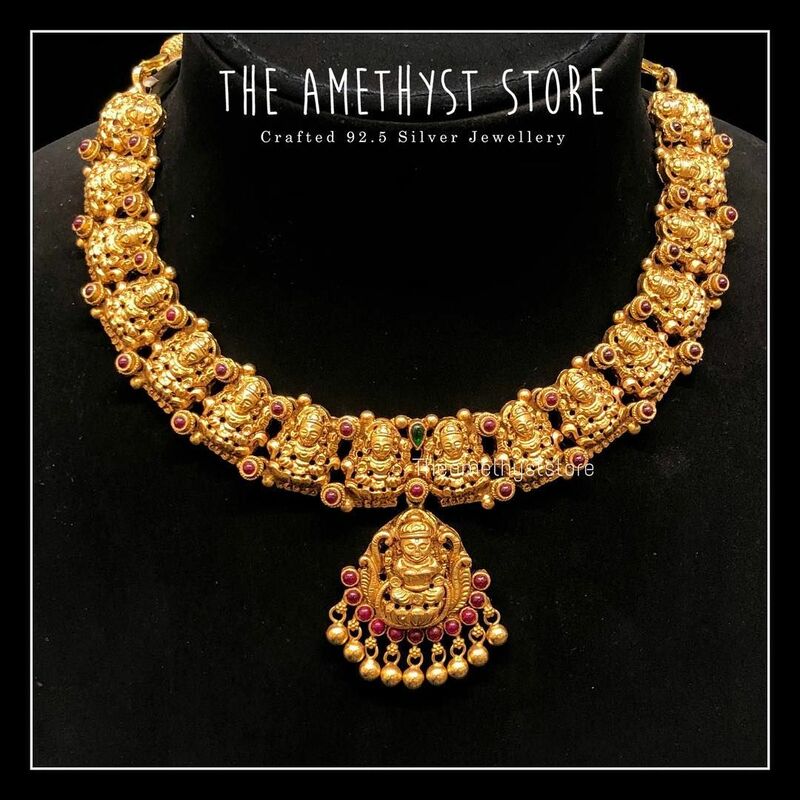 Any bride to be will fall in love with their exquisite range of gold plated silver jewellery. 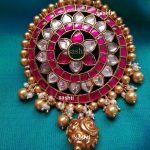 If you are searching for some traditional and regal collection of jewellery then Sree exotic silver jewellery is the right place. 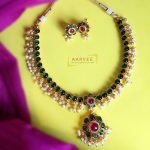 The gold plated silver jewellery from this collection is a class part where each piece of jewellery is designed uniquely. The speciality of the jewellery from this brand is that they are designed with a modern touch. The taste of women when it comes to jewellery is going back and the old jewellery models are in vogue. 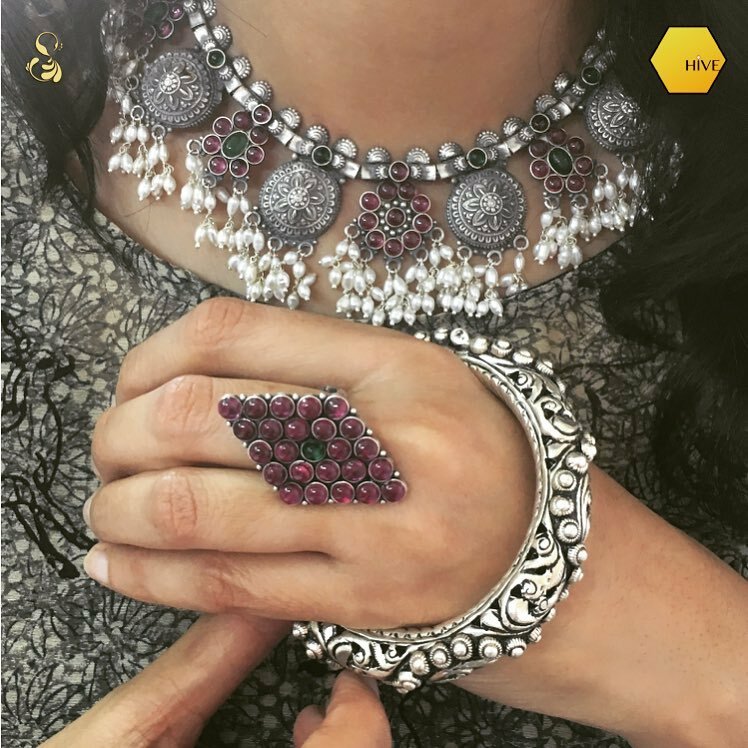 Their collections are studded with semi precious stones, and are beautifully designed which can make any woman to fall in love with these pieces of jewellery. 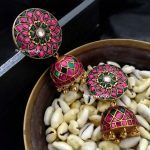 With affordable prices and an exciting range of gold plated silver jewellery designed uniquely with polki, pearls,kundan stones etc.. this online store can make you long for more. 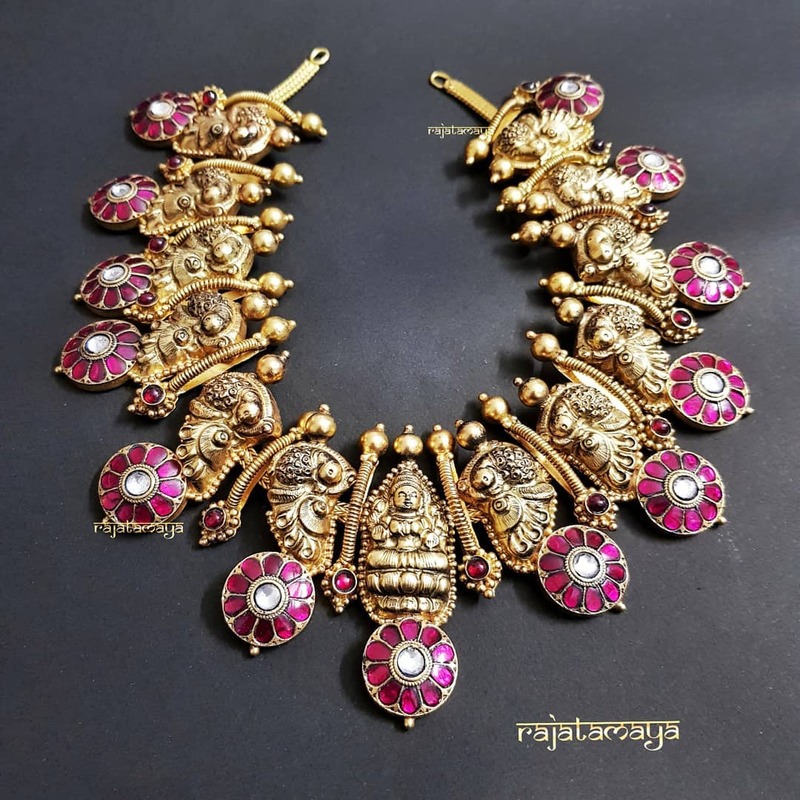 If exotic collection of gold plated silver jewellery is what you are looking for then Rajatamaya is the place. Now let’s take a look on brands that offers exclusive silver oxidized jewellery. The oxidised silver jewellery is elegant to look and adds up to the appearance in a subtle way. Earrings are the jewellery that we constantly change according to the dress. 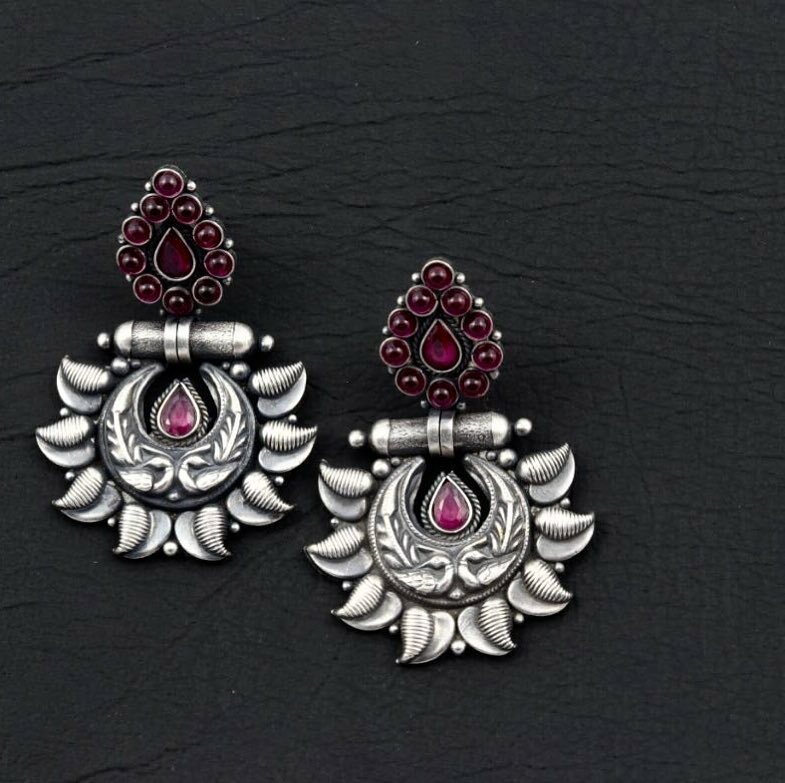 The affordable oxidized silver jewellery collection from Prade jewels which includes the daily wear jhumka and party wear jhumka which are light weight and intricately designed are not be missed from this brand. 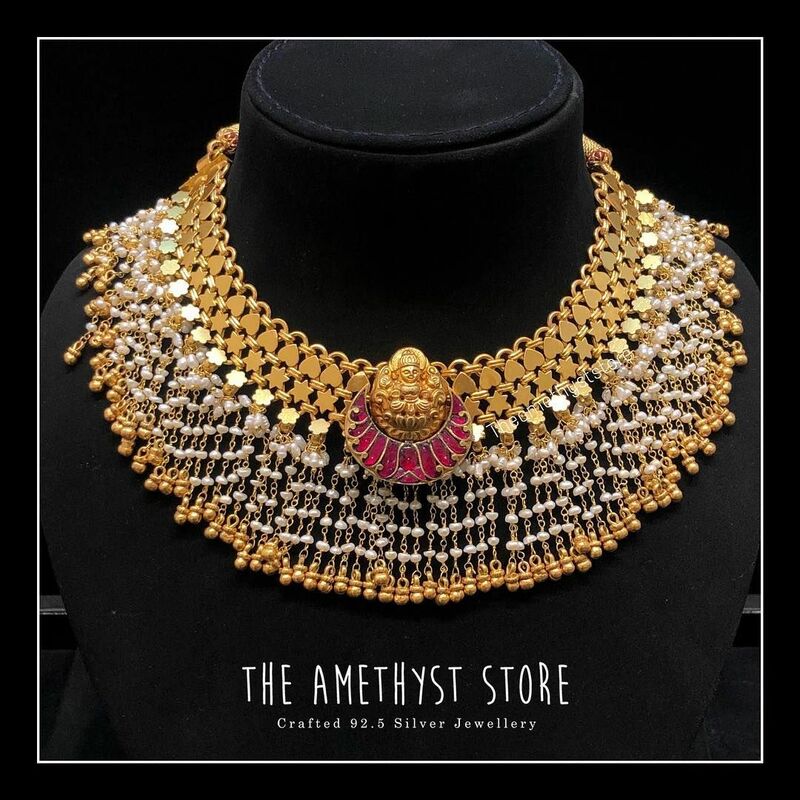 The brand has some traditional jewellery such as neck pieces and bangles that are designed with such excellent craftsmanship that they can take us back in time. 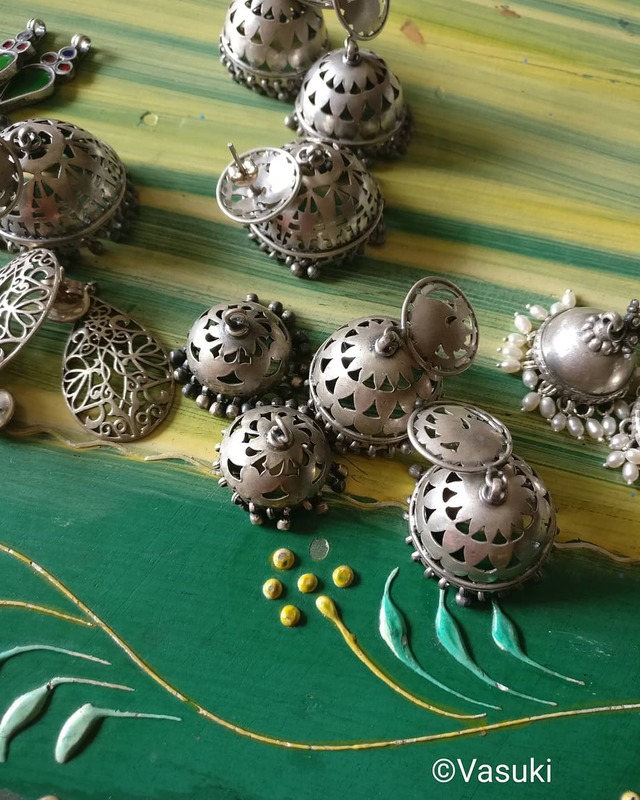 Oxidised silver jewellery is trendy and goes well with ethnic wear as well as modern wear. 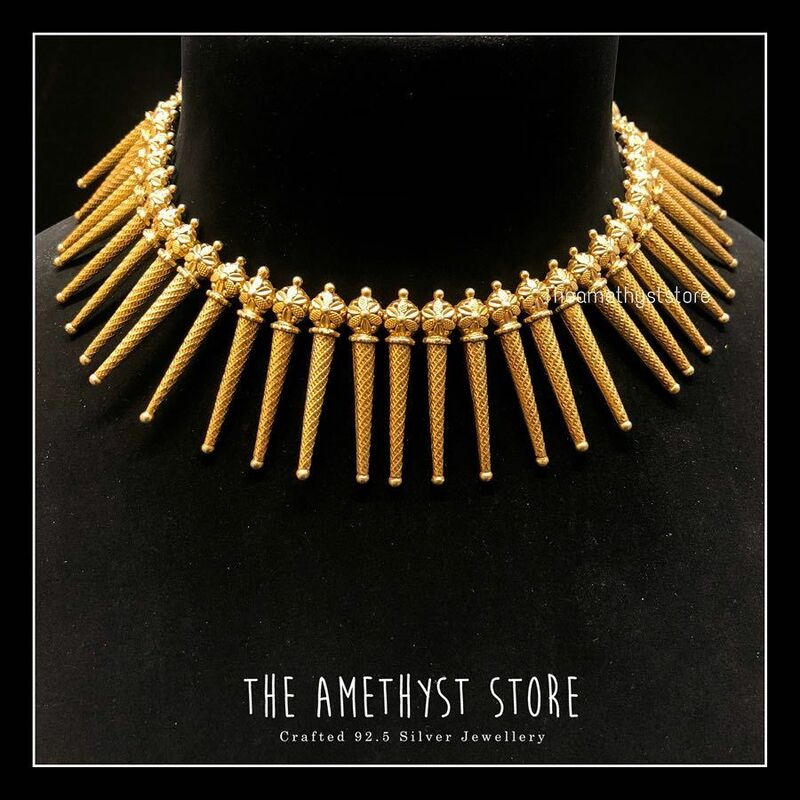 The exclusive oxidised silver jewellery from Aham jewellery has a beautiful collection of vintage glass jewellry and thread neckalaces increases our thirst for oxidised silver jewellery. 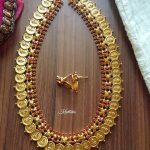 The Aham jewellery brand has a wide range of festive jewellery collections, dance jewellery collections with unique designs which are available at affordable prices. 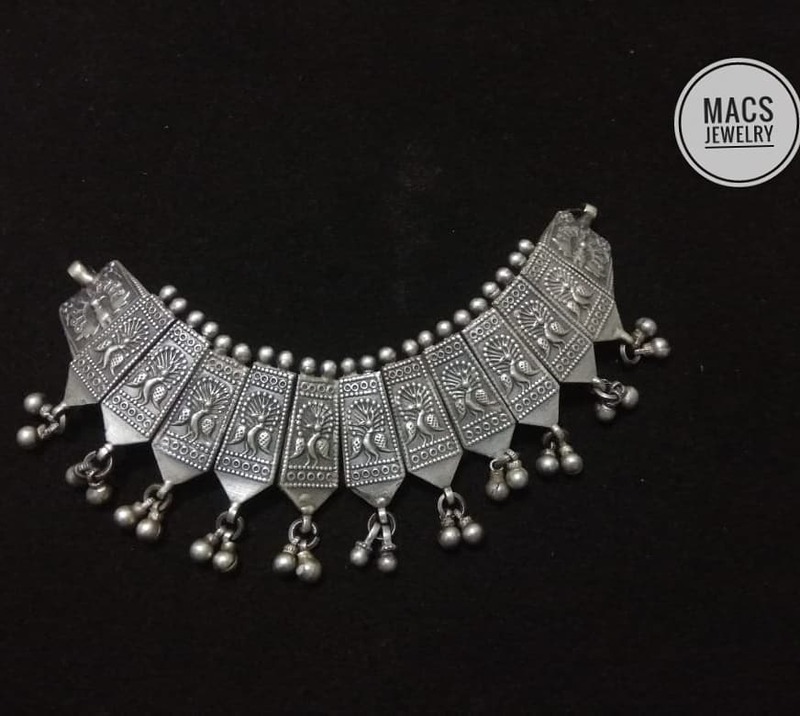 The online brand Sparsak has a wide range of oxidised silver jewellery collection from kadas with intricate designs, simple and elegant jhumka, handmade tribal necklaces etc. The huge oxidised silver rings from Sparsa jewellery are just amazing! 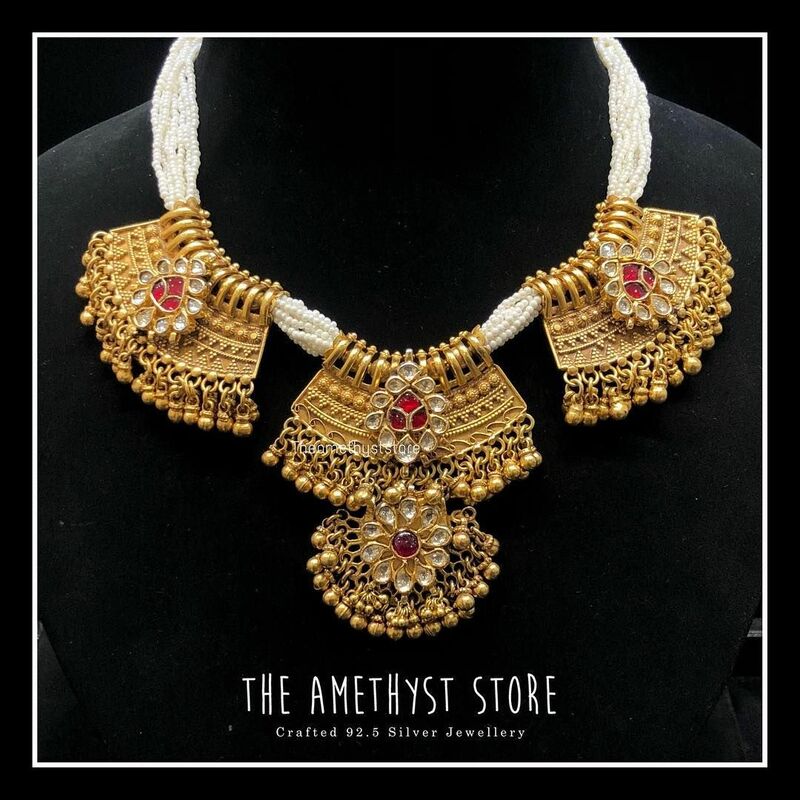 The combination of temple jewellery with guttapusalu necklace can mesmerise anyone. The oxidised silver jewellery collection from Macs jewellery is for every young girl and woman who like to wear something special and unique. 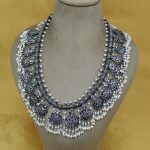 Their collections include multi colour stone earrings, the silver pearl earrings, silver chokers, silver nose pin clip ons, the statement silver multi layer flower motif necklace etc. The silver chains with a provision to change pendants are something not to be missed from Macs jewellery. If out of the box collections in oxidised silver is what you are looking for then vasuki karthik is the right place. 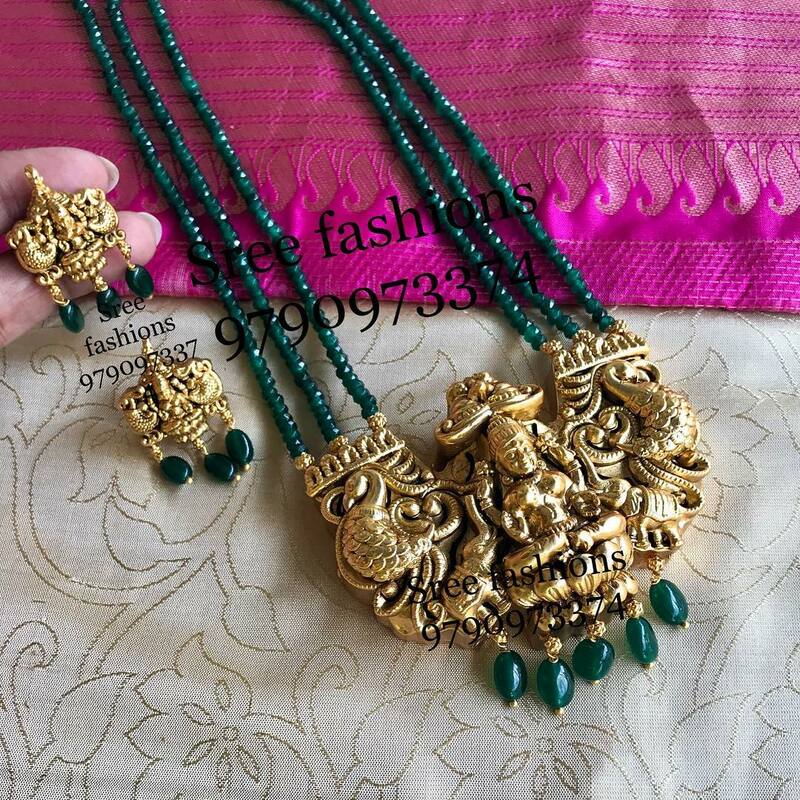 The exquisite range of jewellery includes pearl and turquoise beads silver jhumkas, silver necklaces with navartana pendants and red, green stone pendants etc. The guttapusala necklace with turquoise beads and dark blue beads combination is a very unique piece of jewellery in their collection. 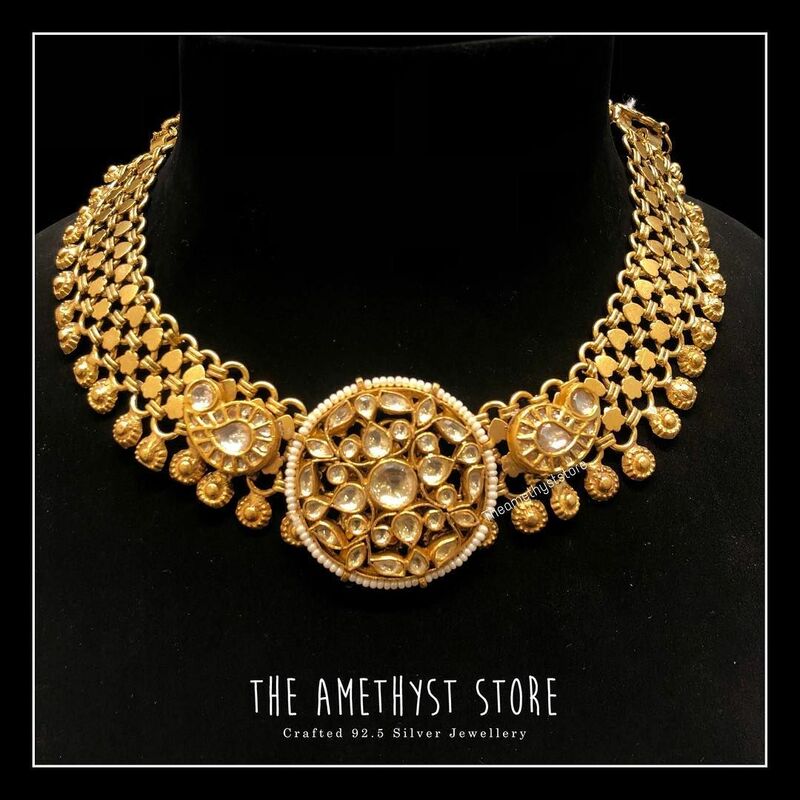 The exquisite and unique collection of oxidised silver jewellery and gold plated silver jewellery must have stolen your hearts. All you beautiful ladies must be having a tough time to choose as every piece of jewellery is special in its own kind. 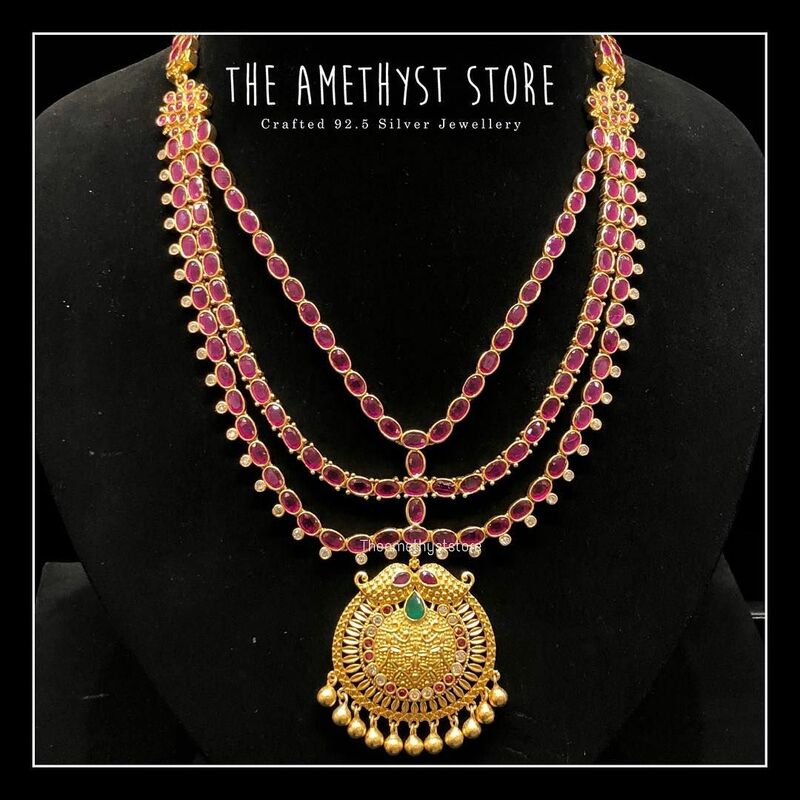 So, choose the ones you like the most from this wonderful collection from top most brands for oxidized silver jewellery and gold plated silver jewellery at affordable prices. 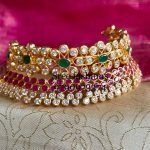 Awesome Silver Jewellery Collections You Would Love To Buy! Next articleAnasuya Shows How Ruby Sets Can Attenuate Your Look!